IF YOU THINK owning a music store means you can play with all kinds of new toys and get all kinds of neat stuff, well, you are right. Sheryl and I started Second String Music in Quincy a year ago February and it's been quite the experience. We've had a lot of fun, learned a bunch and we look forward to being there for our local musicians for a long time. My buddy Mark Hoekstra once described the desire for new stuff as the "want versus need analysis." Mark is the Smartest Man In the World and he was dead-on as usual. "You don't need it. Of course you don't need it," Mark said. We were probably having a beverage, and we were probably talking about golf clubs, cottages, boats or cold beverages. "But you want it. It's want versus need. So what's it going to be?" We have some incredible guitars in the store right now. I've got my eyes on a Dean 12-string with a nice pickup that would really sound good with The Cheeseburgers. This is where Good Rodney battles Bad Rodney, as they each perch on my shoulder and whisper in my ear. "The band would benefit," says Bad Rodney, wearing a cap and devil's ears. "It would be a great advertisement for the store. You WANT this guitar and you should have it." "Ah, point of order," Good Rodney says, dressed in white with a halo above his head. "You have an incredible Aria acoustic with a Fishman pickup. You don't need this guitar. Keep it on the floor and sell it to somebody who really needs it." I've also got my eye on a gorgeous Fender Telecaster. "That guitar is YOU," Bad Rodney says. "You already have a Fender Strat," Good Rodney says. 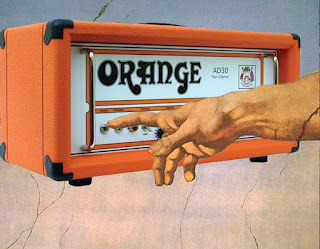 Today I got a great Line 6 Verbzilla reverb pedal, and it's going to sound like a million bucks coming out of my Orange Tiny Terror amp. I've already told Good Rodney to take a flying leap. 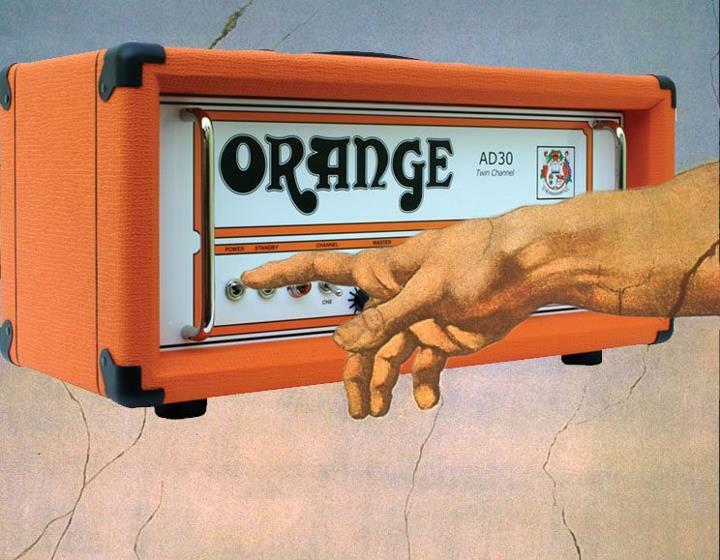 And if Bad Rodney starts gloating, I'll smack him off my shoulder too - the Orange amp doesn't have effects. And he can shut up when I'm eying the mouth-watering Blueridge acoustics that just came in, too. So. Moderation and that whole Dutch Calvinistic guilt thing comes in handy, with all this great stuff seemingly within reach. I will take the high road, listen to Good Rodney and be smart about buying music stuff. You can always do what I did with clothes as a teenager: sell your current gear to buy the new gear, and you even get to sell it at your own store. I'm with Natalie - that's a grand idea. Can't you "borrow" the equipment from the store, and write off any depreciation to advertising or something? C'mon, don't you own the place?